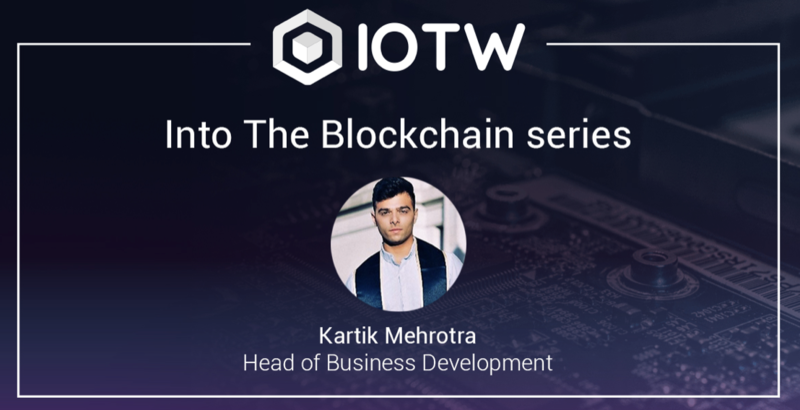 Our first entry in our new Into The Blockchain series, where our team members share with us who they are and what they’re all about, *drumroll please* focuses on Kartik Mehrotra! Kartik is our go-to wine taste tester, go-getter and the first guy on the dance floor. Above all, he’s our Head of Business Development (aka a person who brings the business and fun). Read on to learn more about why he prefers proofs of assignment over proofs of security, and lots more! Kartik completed his education from University of California, Berkeley. After working as brand ambassador for Uber even in his college days, he reinvented himself into an consultant and investor. Working for companies like Deloitte, Venture Capital and a few more investment firms, Kartik brings an invaluable knowledge of market and investing. That’s being one side of Kartik, he is also well versed in how tech works and it’s effects! Kartik keeps his skills sharp with the latest nitty gritty details of this volatile tech. If you ever bash into him at any event or at any of office try it out, he’ll surprise you. Kartik role in our team is aver strategically placed one. He not only helps IOTW adoption through Europe and US regions. He also helps getting iotw recognized as it’s true potential in from of all investors and vc’s. Kartik also helps the IOTW to be designed in a way that its is up for real adoption and not stay just as an awesome piece of tech. All in all Kartik is a fantastic person in terms of knowledge, skills and experience. I can from all view of all IOTW team can say we are proud to have him. With everything going on we have a really awesome announcement next week. Please stay tuned for our next week’s team member series. If you have not followed us at any channels, please do! A highly secure IoT ecosystem that enables instant transaction, and green Micro Mining from any connected device without any extra hardware and no additional cost. Copyright © AnApp Blockchain Technologies Limited All Rights Reserved.